I've heard lots of good things about Une Prophet, it's definitely going on my dvd pull list. my favourite line from the Machete trailer "They just f***ed with the wrong Mexican!". man that movie is so f'n good!!! i need to see that sh!t again now! I need to see Une Prophet, also really really need to see The Social Network. Machete film was DOPE! Lindsey lohan.... need i say more??? lol. Aqquired fast show and red dwarf for around £30 for all the episodes so pretty chuffed wid that, think i might invest in a few classic BBC series dvds, i think ill get blackadder next. Ive heard that Social Network is a pretty gud film but might wait for DVD to see that, really hyped for the new TRON film in 3D! the original was a debatable classic, i think i may of been too accustomed to better graphics so didnt enjoy it that much but new one looks supurb! Jeff Bridges is the maaaaaan. Or should I say the DUDE. Might try to see The Social Network at the weekend, I never saw the original Tron when it came out but the new version looks pretty cool. Picked this up recently on DVD. wow dude, that looks awesome. Surprised I haven't heard about this - Nappy D director and the dude from Conchords!?!? WIN! Saw Machete last week. The first half of the movie was pretty good, but the second half sucked. It suddenly got super corny and ridiculous. Stereotypes got super-enhanced. That second half ruined the whole thing for me. Overall, it seems to be a sorry version of Kill Bill, only with Mexican characters. um... wasnt the whole thing corny? aint that the joke? or u being super ironic? lol. everytime his machete kept getting bigger... and the killer motorbike.... such a dope film! 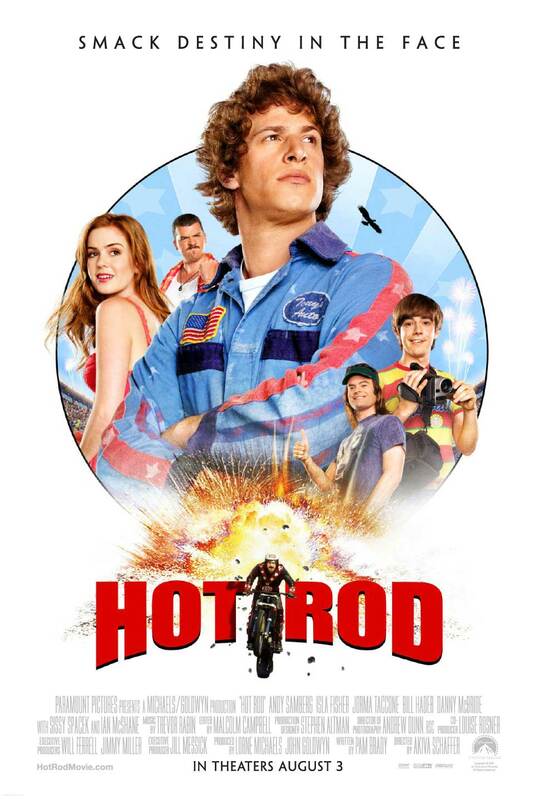 As for hot rod Po, its a seriously underrated film, i picked it up at random in asda 2 years ago and its been a staple eversine, its defo got a superbad feel about it, quite quotable aswell, check out adventureland for an underrated film aswell. Rod Kimble: I used to be legit. I was too legit. I was too legit to quit. but now I'm not legit. I'm unlegit. And for that reason, I must quit. yeah, it's one of those films that kind of didn't do anything at the box office but could end up being a cult classic, I got a copy for £6 at HMV and it even came with a digital download.